Gaming giant THQ thought they had found the start of a new dynasty with UFC Undisputed 2009, but this year’s release hasn’t quite lived up to expectations even though critics were impressed with the sequel’s improvements. According to reports, THQ suffered a 39% sales drop in comparison to last year’s first quarter results. The company went from $243.5 million to only $149.4 million in Q1 2010. 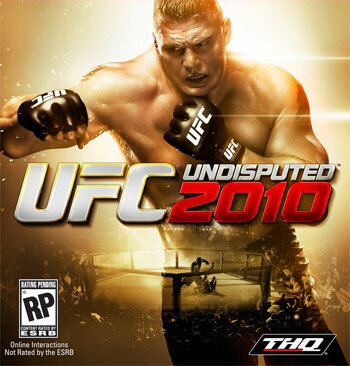 UFC Undisputed 2010 has sold roughly the same amount of units as last year’s edition, but has needed drastic price drops in order to maintain 2009’s pace. THQ and the UFC ran into a bit of bad luck, as one of the year’s hottest titles, Red Dead Redemption, was released only a week prior to their May 25th release date. Although the game had high hopes for its online play, reports of game bugs have hindered one of the most anticipated squeals in recent gaming history . Due to their recent struggles, THQ is considering pulling back on subsequent releases of the MMA game. It was originally planning to launch a new edition each year like EA Sports’ Madden franchise, but after the disappointing numbers Q1 provided, company brass may look to execute a different game plan.